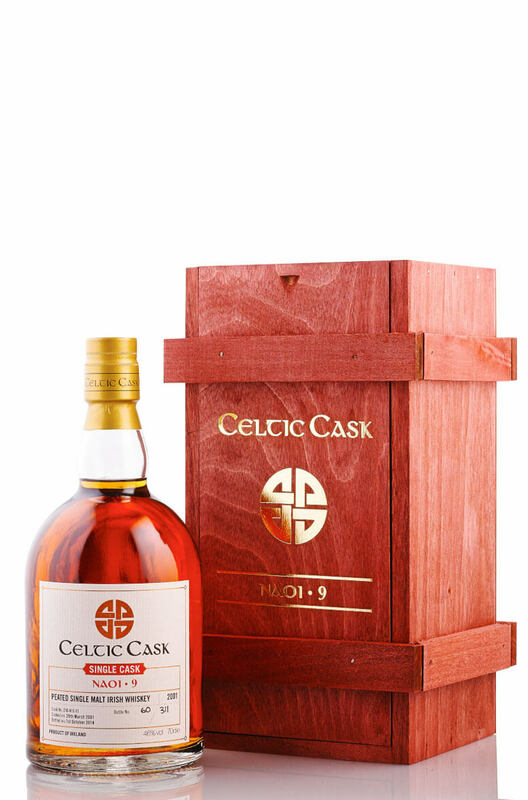 This was the overall winner in the Single Cask category of the 2014 Irish Whiskey Awards. Just 311 bottles have been made. Nose Sackcloth, tarred wood, with smoke, caramel, orange and pineapple. Palate Dry, peat smoke but also very fruity. Flavours of boiled sweets, caramel toffees and roasted nuts. Distillery Undisclosed, a distillery in County Westmeath. Types of Barrel used for Aging 10 years in a Bourbon cask before being finished in a Vinho Barbeito Madeira drum. Trophy Winner Best Irish Single Cask- Irish Whiskey Awards 2014.